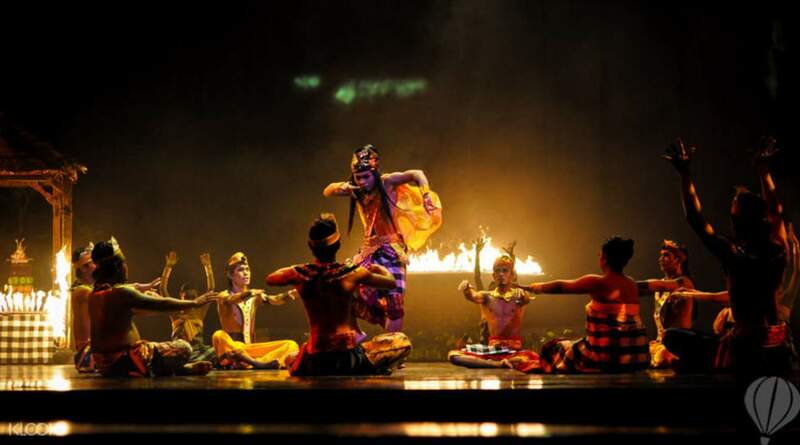 Bali's must see cultural extravaganza! Experience Indonesian “Unity in Diversity” as you watch performances from the many cultures spread across the islands, including Bali, Sumatra, Java, Kalimantan, Papua, and more! Watch a fusion of modern elements like acrobatics and special effects which will keep you on the edge of your seat! Already have your own transport to the show venue? Just book a Devdan Show Ticket instead! very well organized event. superb performance from all artists. We were picked up from hotel on time and dropped back. A must watch show for families with kids. Get an A seat ticket for the price of a B seat ticket! With more than 18,000 islands and a population of 240 million, Indonesia is a tapestry of unique cultures spread across a wide variety of people. A trip to Bali is just a scratch on the surface of this country and its traditions. 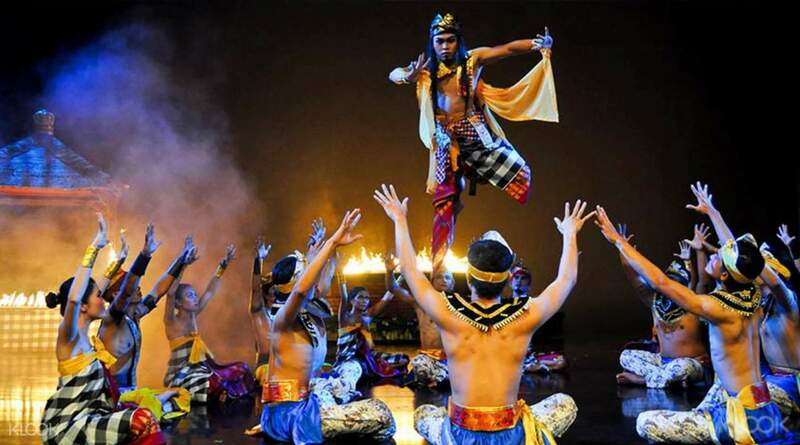 Dive deeper into Indonesia with the Devdan show, an award-winning production that will take you on a journey across the archipelago. This talented team of performers will show you how Indonesia celebrates “Unity in Diversity” with a contemporary take on traditional culture from Bali, Sumatra, Borneo, Papua, and many other islands. Combining many elements of modern theater, including acrobatics and special effects, culture comes to life for the whole family. Experience dramatic Kecak fire dances, shadow puppets, warrior chants, water dances, tribal ceremonies, and more! Cultural shows from Bali, Sumatra, Java, Kalimantan, Papua, and more! Devdan show was an eye opener to the diverse culture that Indonesia has. The driver who picked us up was very punctual and has also preempted our hotel before the departure time. And because we bought the VIP seats, we get to go up close and personal with the cast! Not to be missed! Devdan show was an eye opener to the diverse culture that Indonesia has. The driver who picked us up was very punctual and has also preempted our hotel before the departure time. And because we bought the VIP seats, we get to go up close and personal with the cast! Not to be missed! We loved the music so much. Very upbeat and contemporary. The dancing was a mixture of traditional and modern dance with a few surprises. Highly recommended! We loved the music so much. Very upbeat and contemporary. The dancing was a mixture of traditional and modern dance with a few surprises. Highly recommended! We highly recommend this activity. It was great from beginning to end. Our pickup was on time, friendly driver and the show truly amazing. We had time before the show to walk around the area and enjoy a lovely meal. This was a wonderful cultural experience. We highly recommend this activity. It was great from beginning to end. Our pickup was on time, friendly driver and the show truly amazing. We had time before the show to walk around the area and enjoy a lovely meal. This was a wonderful cultural experience. The driver had an excellent English, everything was going on schedule with no rush or delays. The show is strongly recommended and represents the “face” of Indonesia, which is not very known especially for visitors from other continents like Europe for example. The driver had an excellent English, everything was going on schedule with no rush or delays. The show is strongly recommended and represents the “face” of Indonesia, which is not very known especially for visitors from other continents like Europe for example. Staff called my hotel and i was connected to the staff, was reminded promptly for the pick up between 6-615pm that evening. Driver came on time and sent us to the theatre. There was a gap of about 45min before show started so we walked around the Bali Collection shopping area. Then upon presenting our tickets, we were guided to our assigned seat, we purchased the A seat at the price of B with Klook and it was a good position. The show was really superb. Driver sent us back to our hotel smoothly too. Good experience! Staff called my hotel and i was connected to the staff, was reminded promptly for the pick up between 6-615pm that evening. Driver came on time and sent us to the theatre. There was a gap of about 45min before show started so we walked around the Bali Collection shopping area. Then upon presenting our tickets, we were guided to our assigned seat, we purchased the A seat at the price of B with Klook and it was a good position. The show was really superb. Driver sent us back to our hotel smoothly too. Good experience! Being in Bali for leisure and enjoying a cultural show is heavenly! The transfer from the hotel to the venue was smooth, although we did have to wait a little for other guests who were late, it was a very pleasant evening. The cultural show is great and the 70 minutes just sped past. Dance moves were awesome and the performers were very professional! Being in Bali for leisure and enjoying a cultural show is heavenly! The transfer from the hotel to the venue was smooth, although we did have to wait a little for other guests who were late, it was a very pleasant evening. The cultural show is great and the 70 minutes just sped past. Dance moves were awesome and the performers were very professional! I think this is finest expression of Balenese traditions, diversity and history in form of great dance and music. 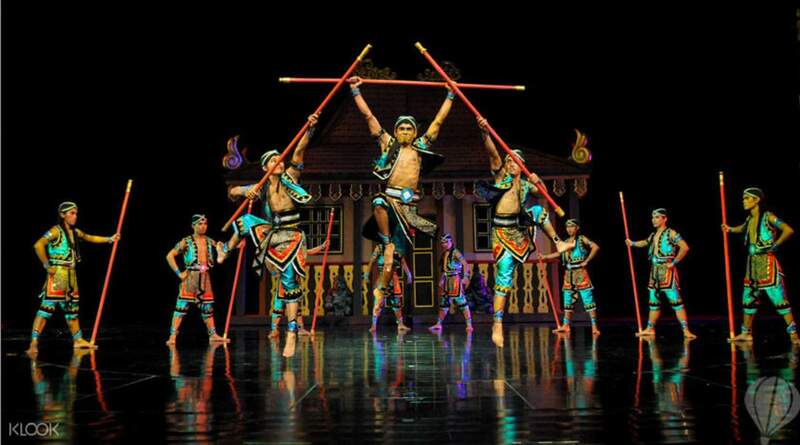 The acrobatics, aerial and fusion of some western styles into traditional dance forms would keep everyone engaged. My kids also loved this. I think this is finest expression of Balenese traditions, diversity and history in form of great dance and music. 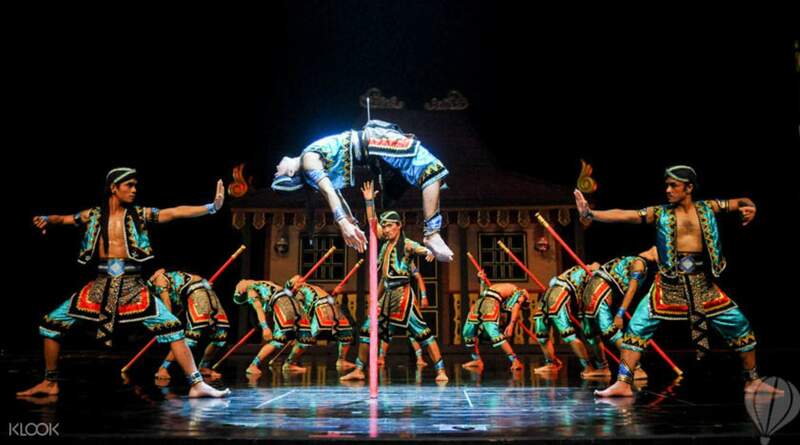 The acrobatics, aerial and fusion of some western styles into traditional dance forms would keep everyone engaged. My kids also loved this. It was a good culture show in 1:30 hours. Several INDONESIA culture specially Bali style of dance were performed. It good to see the performer trying to add in some humor in the performance. It will be good to have more interaction with the audiences. It was a good culture show in 1:30 hours. Several INDONESIA culture specially Bali style of dance were performed. It good to see the performer trying to add in some humor in the performance. It will be good to have more interaction with the audiences.